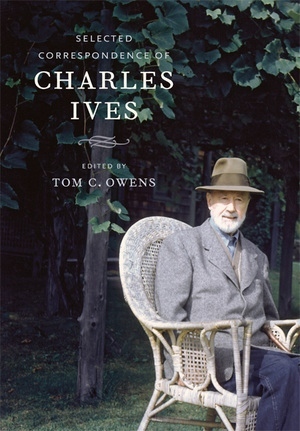 This authoritative volume of 453 letters written by and to composer Charles Ives (1874-1954) provides unparalleled insight into one of the most extraordinary and paradoxical careers in American music history. The most comprehensive collection of Ives's correspondence in print, this book opens a direct window on Ives's complex personality and his creative process. Though Ives spent much of his career out of the mainstream of professional music-making, he corresponded with a surprisingly large group of musicians and critics, including John J. Becker, Henry Bellamann, Leonard Bernstein, John Cage, Aaron Copland, Henry Cowell, Ingolf Dahl, Walter Damrosch, Lehman Engel, Clifton J. Furness, Lou Harrison, Bernard Herrmann, John Kirkpatrick, Serge Koussevitzky, John Lomax, Francesco Malipiero, Radiana Pazmor, Paul Rosenfeld, Carl Ruggles, E. Robert Schmitz, Nicolas Slonimsky, and Peter Yates. Tom C. Owens is Associate Professor of Music at George Mason University.